How to Choose a Pram – in 6 easy steps! If you’ve been following me on my Instagram stories then you’ll know that we never went pram shopping; I was simply too overwhelmed with the choice & after my brother in law offered us theirs I jumped at the chance.. I mean a pram is a pram right?! No! Our first trip along the local canal path made me quickly realise that the small smooth wheels of their pram were NOT suitable for anything other than smooth pavements and our first trip to the shops made me realise that you couldn’t fit ANYTHING in to the basket. The break was also fiddly to use and the carrycot wasn’t very padded (yes, first world problems I realise). Having experienced this though, it makes our new pram (pictured above and below!) all the more enjoyable to use. We have the Quinny World Hubb Duo Stroller and it has HUGE wheels with treads making it ideal for all terrains (including canal paths! ), the shopping basket is MASSIVE (it fits lots nappies in it!) 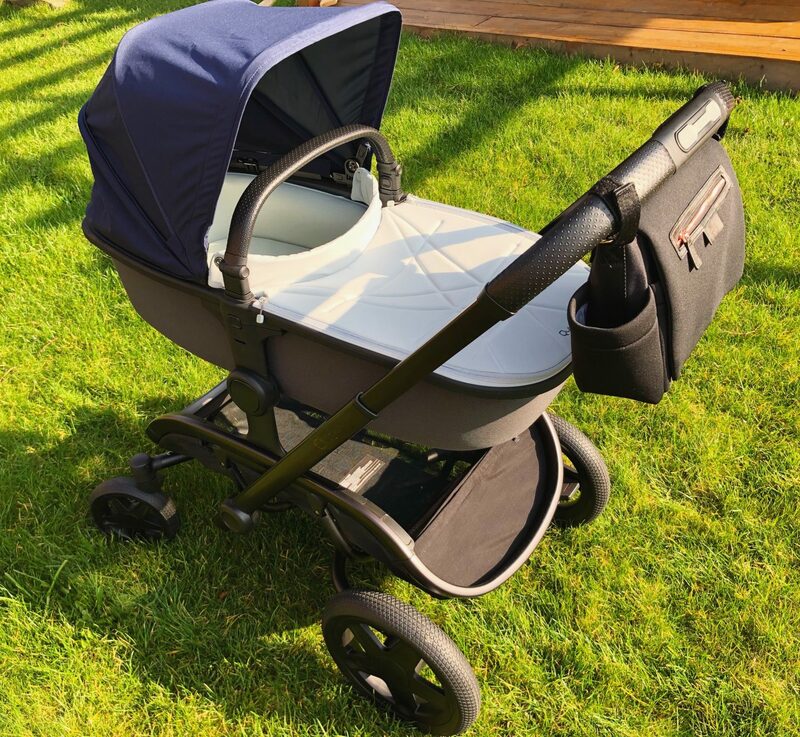 and as well as the break peddle being super easy to find and use, and the carrycot being super comfy (Henry is so much happier in it!) 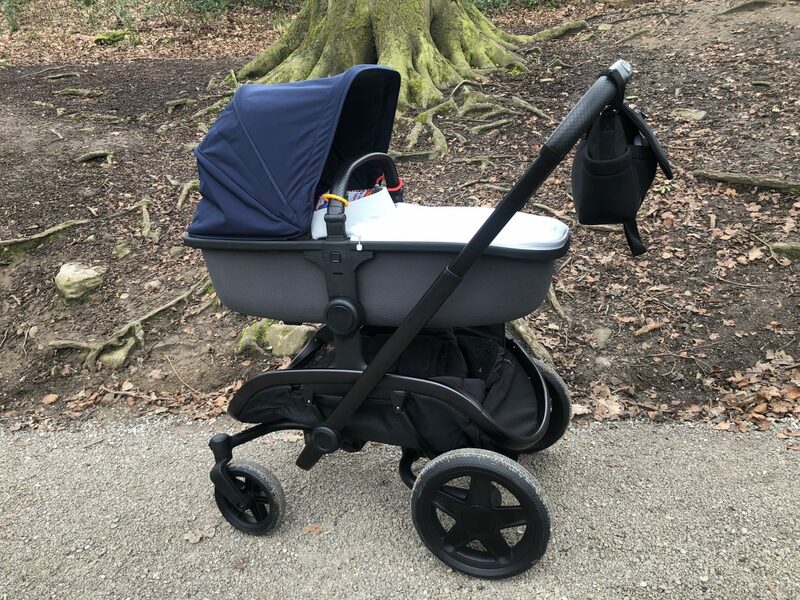 it also converts to a double pram; which means if my wish of having two kids goes to plan it will come in VERY handy (you can even get a toddler seat for the back too!). 🚲 WHEELS – Do you need large/treaded wheels for all terrains or are small ones enough e.g. for city use only? 🧺 SHOPPING BASKET – What’s the storage capacity if you’ll be taking the pram to the shops? 🛑 BREAK PEDDLE – Is this easy to find and use? You’ll use it non-stop when you’re out and about! 🗣BACKWARD FACING – Can the pram seat (suitable from 6 months) face backwards as well as forwards? This is a must if you want to keep an eye on your baby or talk to them! 👯 NUMBER OF BABIES – If you plan on having two babies fairly close together does your pram facilitate more than one? Did you look at anything else when choosing your pram?! Click the image above to be taken to my Instagram page to read more tips from YOU! Gifted item featured; all opinions are my own and are 100% honest. Please read my disclaimer page for more information. My Useful & NOT Useful Baby Items!